30 year amortization wins attention on mortgage market. 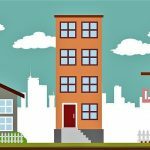 Best investment property: condo vs house? 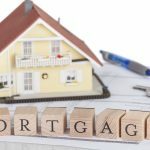 A Manulife survey from several years back has found that almost two out of three Canadians stayed with their mortgage lender and did not negotiate. A small oversight like that can cost you an average of a thousand dollars per year in additional mortgage payments. Over the life of your mortgage loan, this amount can turn into dozens of thousands of dollars! Many Canadians can be generally versatile and open to new ideas, but when it comes to their mortgage, most of the time this is not the case. We as a nation are used to turning to our big six banks for everything – loans, savings accounts, credit cards, investment advice, and of course, mortgages. According to a recent comparison study, most Canadians don’t bother shopping around for a good rate. They usually grab the first reasonable offer and do not even look at alternatives. Furthermore, once a decent rate has been found, Canadians tend to stay faithful to one bank for years and even decades, assuming that their loyalty will get them top service and most competitive rates. The truth is, staying “married” to one bank rarely pays off. The banks tend to play on that and leave it up to their customer to inquire about a better rate. When it comes to renewing a mortgage, most existing customers don’t get the best deal for just that reason alone. First time home buyers and customers who switch from one loan provider to another are usually the ones who benefit more and walk away with a much better deal. Lets take a look at a real world example of how a little negotiation can save you BIG on your mortgage renewal. Meet Joe, a typical homeowner with an existing mortgage. Joe owns a $300,000 condo and has a $250,000 mortgage with 25-year amortization and a 5-year term. Upon term expiration, Joe’s bank offered him a 3 per cent mortgage renewal rate, which Joe gladly accepted. Joe ended up staying with the same rate until his mortgage was fully paid off. Now lets look at what would have happened had Joe shopped around a little. First of all, Joe would have discovered that there are dozens of competing lenders on the market who offer better rates with similar terms. As an example, he could have easily switched to a 2.5 per cent rate offered by a local mortgage broker. Over the next five years this difference in the interest would have saved him $6250! Joe would be able to afford an extra all-inclusive vacation to the Caribbean PER YEAR. Over the lifetime of his mortgage Joe would have saved a total of $37,000 (equivalent to $50,000 of taxable income), which was Joe’s annual salary at the time when he signed his mortgage contract. Joe would be VERY upset to find out that he worked for free one full year of his life because of a few poor financial choices. Luckily, you don’t have to end up like Joe. We have met many Canadians in a similar situation in our 10 years of business, and we’ve ended up helping them tremendously. Since you are now better informed and can make smarter financial decisions when renewing your mortgage, where should you start? Start shopping around for rates several months before the end of your term. Your mortgage is likely your biggest and most important investment, so do not take it lightly. Have a licensed mortgage professional look for the best mortgage strategies, and you will be pleasantly surprised at what they can do for you. After all, it’s been some time since you signed your mortgage documents. Your income, assets and savings have likely changed, and if that is the case, so in turn should your interest rate. Remember, just because your bank offered you a rate, it does not mean it’s a good rate. 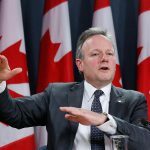 Moreover, the Bank of Canada survey found that mortgage brokers usually offer better rates, due to their access to multiple lenders. But, there is one thing to note when it comes to rates. If you are planning to do the shopping around yourself, keep in mind that the smallest rate does not always mean the best rate. You have to get into the fine print and diligently do your homework to come up with the best financial solution. Usually this process can be quite tedious and take some time out of your schedule. What if you don’t have time for this? Do you work long hours and already barely see your family and friends? We can take the stress off your shoulders and shop around for the most competitive rate as well as the most favorable terms. We will save thousands of dollars on your mortgage renewal for you, while you sit back and relax. Yes, it is realistic to find the most cost-efficient mortgage strategy which will bring you thousands in saved dollars, save you the headache, and let you enjoy quality time with your loved ones all at the same time. We are here to help. Contact us today for a free no-obligation consultation. Canadian housing affordability is now at its worst level since 1990.